EAW018644 ENGLAND (1948). 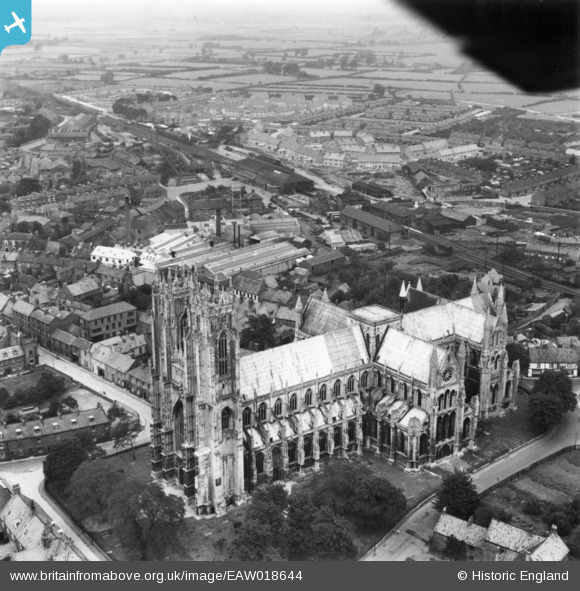 The Minster and environs, Beverley, 1948. This image has been produced from a print. Title [EAW018644] The Minster and environs, Beverley, 1948. This image has been produced from a print. Train powered by what looks like a 0-4-4 tank engine awaits it's next run back to Hull Paragon station.